Here’s a thoroughly pleasant album by forró singer Marinês, the Queen of Xaxado, because I’ve been remiss in commemorating the Festas Juninas this year. It probably won’t knock your socks off or anything, but the arrangements and playing are very tight and a make for fun listening. There are also no less than three tracks of carimbó here, a style that is northern rather than northeastern, proving again that Nordestinos embrace good dance music no matter where it’s from. And also that the carimbó was getting super popular in the second half of the 70s. What keeps this record from rising above merely average is the sparsity of stand-out compositions on it, a failing of a lot of records in this genre from the time. I mean, the first song is kind of an earworm. I’ve always liked that word, “earworm.” For me it always seemed like an earworm ought to be a sinister psychic phenomenon from the world of Dune. You are stranded somewhere on Arrakis with a song you can’t get out of your head. You start tapping your foot involuntarily, and within seconds a gigantic spice-crazed sandworm has appeared from the ground and swallowed you. My point is that earworms can kill you. As further evidence I present “Sou o estopim” – I am the fuse – which is clearly intended to manipulate the listener, Manchurian Candidate-style, into blowing up a government building with homemade explosives. 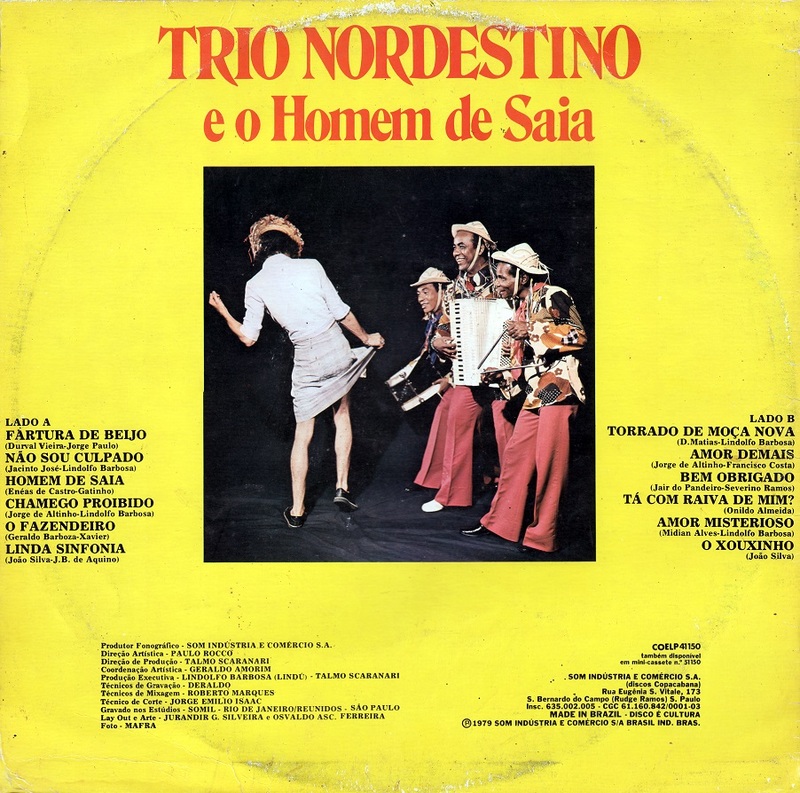 Actually the latter song was written by Antônio Barros, composer of a ton of forró and a performer in his own right along with partner Cecéu, who also has a credit on the final song of this record. Look, I don’t want to compare all songwriters of forró or baião to Zé Dantas or Humberto Teixeira, because that would be like comparing every English pop band to The Beatles. It’s not fair. I also don’t know nearly enough about Antônio Barros to make bold claims, but there is something formulaic in his writing that just doesn’t do it for me. It’s sort of the “hook school of songwriting” that pushes all the buttons you are supposed to push to make a catchy memorable song, but still ends up producing something that is essentially forgettable as soon as the next catchy song comes around and pushes it out of your ear canal. He’s got song credits all over the place, including Jackson do Pandeiro’s albums from the 1970s that nobody remembers. Well, enjoy the Festas Juninas if you have one in your area. 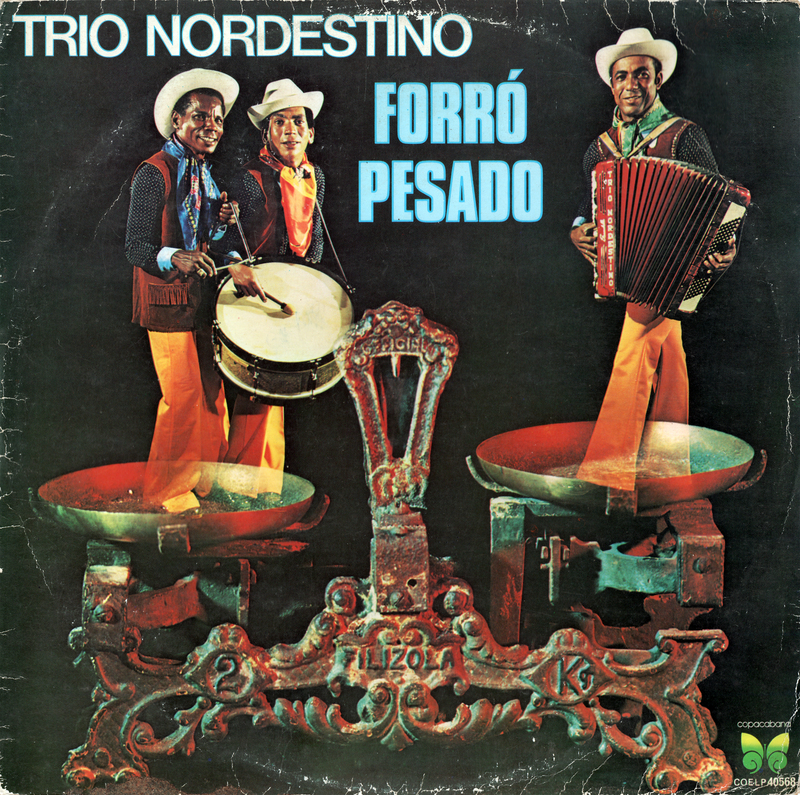 If not, and don’t have any trendy Euro-American faux forró bands playing in a gentrified neighborhood near you, at least you can put on this record. It’s fun for a least a spin or two.